NOTICE: The Bone product color is temporarily unavailable. 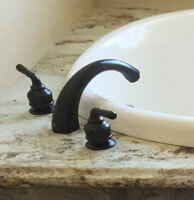 View our selection of quality, luxury bathroom hardware and accessories. Get design tips, view inspirational photos, and discover great products. See what's new at our showrom, including new colors and styles. 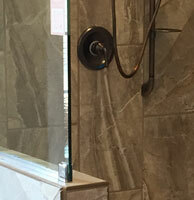 Baymont Bathware is a leading provider of showers and tubs for the selective homeowner, contractor or interior designer. Our extensive product line up is made with durable materials that will enhance the beauty of any bath for years to come. 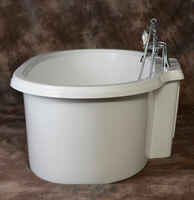 We also offer many styles of assisted care and accessible living bathware. Each of our products is built with quality materials and backed by our extensive warranty.